I found this recipe on The Girl Who Ate Everything, which is a great recipe blog. I’ve made a few other recipes from there. This recipe was submitted by one of her readers. I was trying to find a recipe that didn’t require me to go out and buy any ingredients, and this fit the bill! I made a half recipe and brought it to work with the pumpkin muffins. 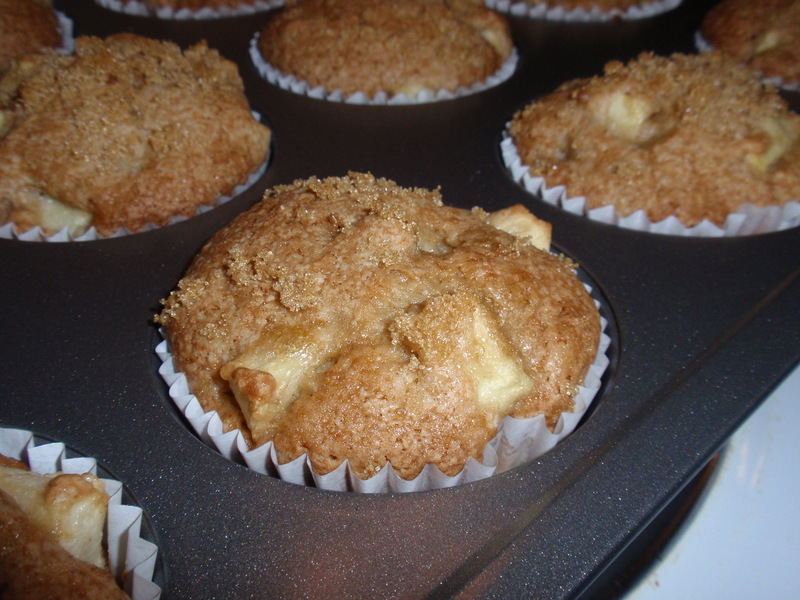 My coworker who is gluten-free, ate a bit of these muffins – without me guilting her into it! – and thought they were awesome. So I’m considering this quite an accomplishment. Enjoy! Preheat oven to 350 degrees and line muffin pan with paper liners. Cream together sugar, eggs, oil/applesauce, and vanilla. Sift flour, baking soda, salt, and ground cinnamon. Add dry ingredients to creamed mixture and mix until combined. The batter will be very thick. Add the diced apples. Fill paper liners almost to the top, about 3/4 of the way full. Sprinkle with brown sugar. Bake at 350 degrees for 20-24 minutes. Makes 18 muffins. *They’re pretty sweet. I would probably go with less than 2 cups of sugar if you’re trying to limit your sugar intake. I’ve kind of got an owl theme going on. For the most part it stems from the fact that I put an embargo on cat-themed items when I got my cat. As a single girl with a cat, I had to put my foot down. I will not be a crazy cat lady. 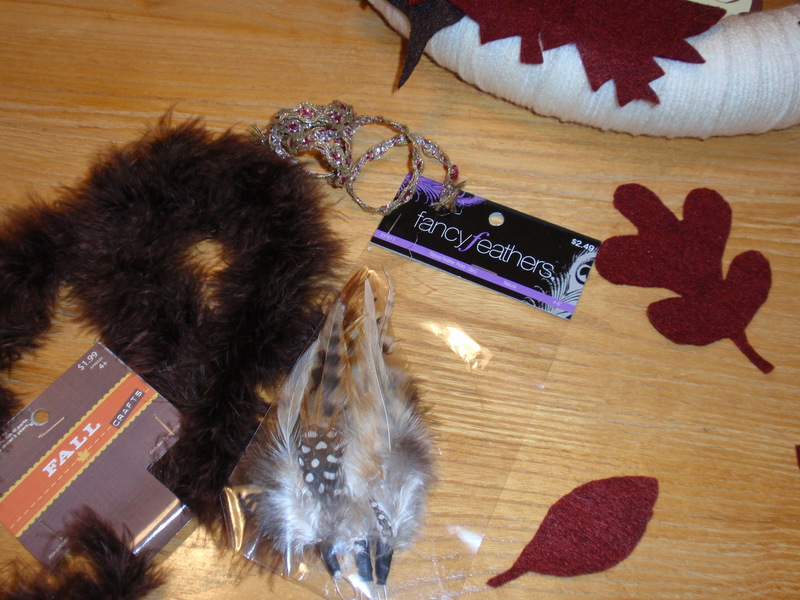 So people started giving me owl-themed items instead. And owls are adorable, so I’m okay with that. I LOVE fall. I love the smell and the crisp edge to the air. I delight in crunching leaves under my feet and picking apples with family or friends. Breaking out my sweaters, scarves, and boots makes me positively giddy. And don’t even get me started on the dessert. Nothing smells better than apple crisp in the oven, or trying out a new pumpkin recipe. So to celebrate fall, I made a new wreath for my door. 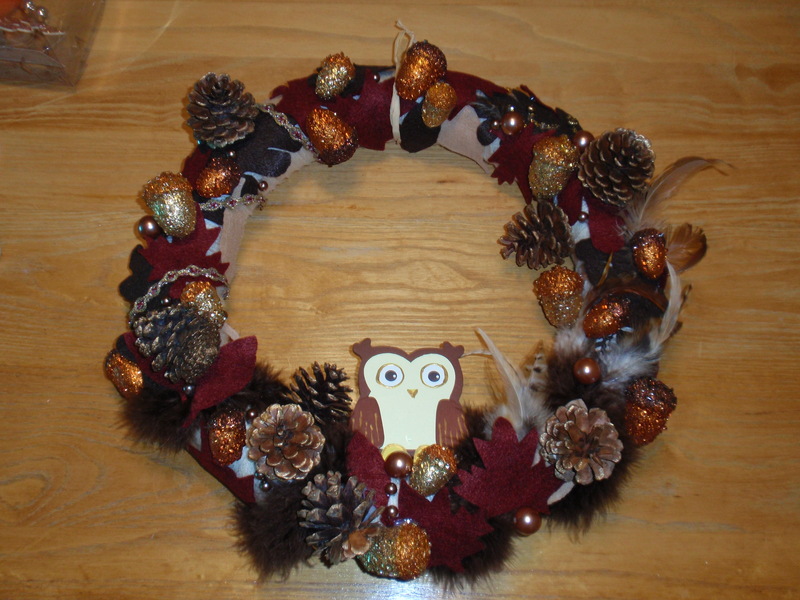 Wreathes are fun because you can really put whatever you want on them and make it very custom to you. 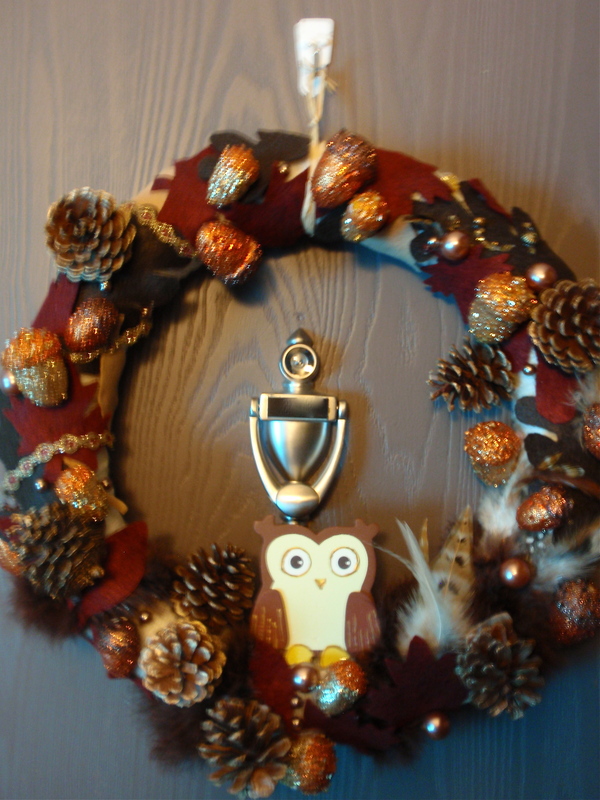 I already had the little owl guy, I bought him for my last wreath but he totally didn’t match. So he had to wait. You will also need some yarn, but I already had it from my spring/summer wreath. Step 2. Wrap it up. I didn’t take any pictures of this part, because it’s mind-numbingly boring and the SassCat kept trying to eat my yarn and I didn’t have enough hands to wrap yarn, block her, and take photos. Basically, pop in a movie, or catch up on your Hulu queue, and wrap yarn around the wreath form until you can’t see foam anymore. So fun. 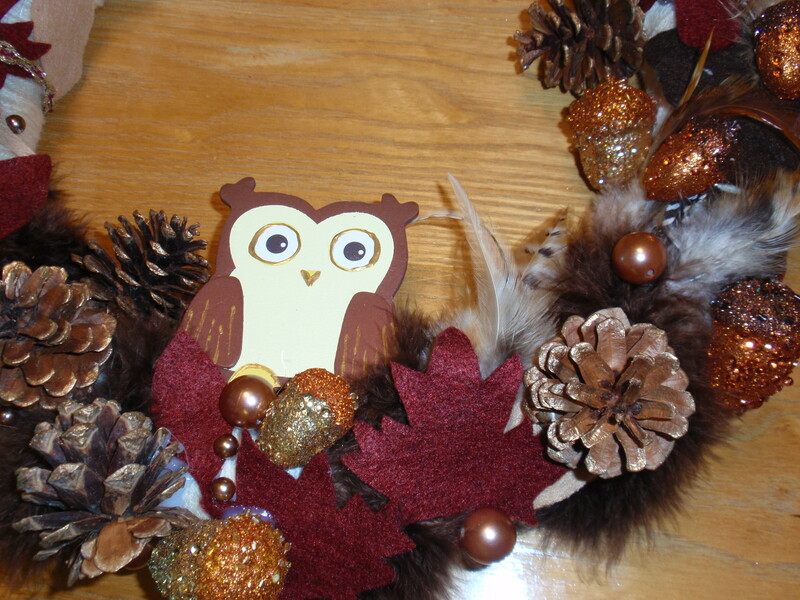 Step 3: Come up with a general idea of how stuff is going to fit on the wreath. I’m a fan of pre-planning, because I don’t do enough of it. 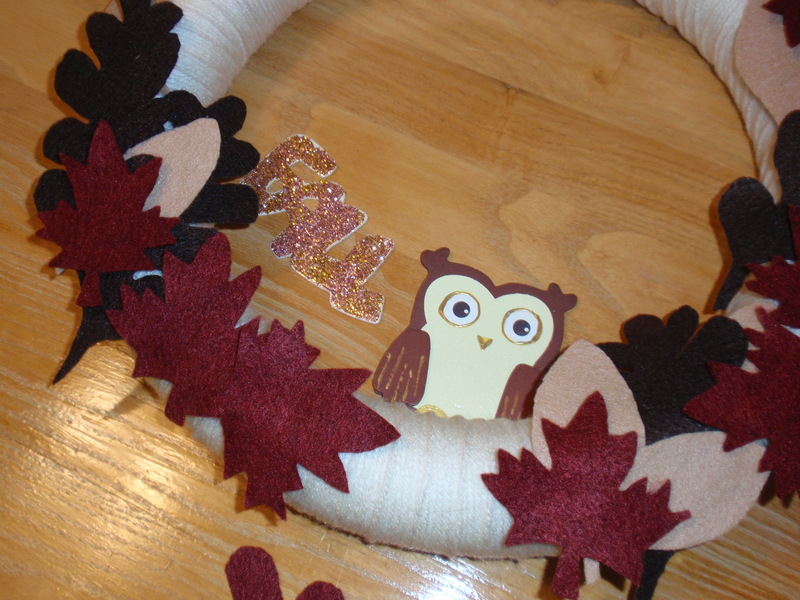 For me, there was also a step that involved cutting leaf shapes out of felt, but that’s optional depending on what you want on your wreath. Step 4: Glue! I think this one is pretty self-explanatory. 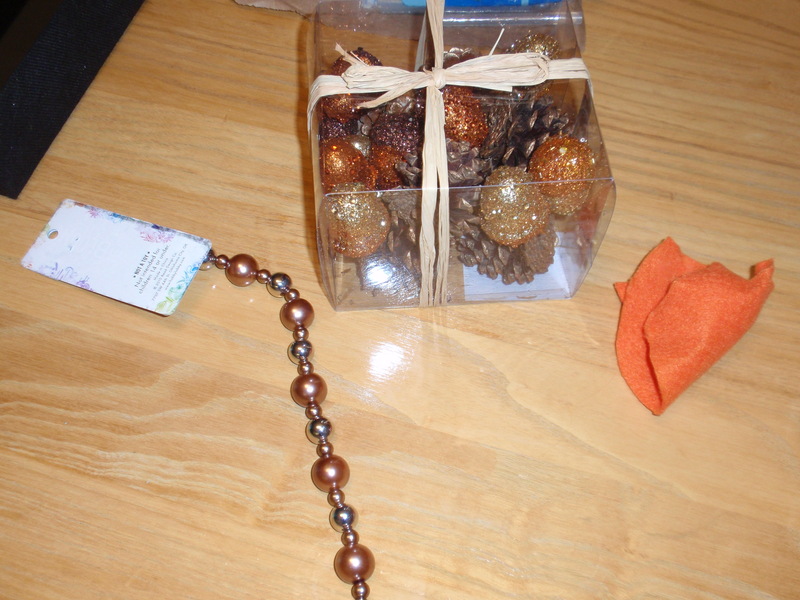 Here are the various materials I ended up with and some more shots of the wreath.